Kindle Scout one year on – was it worth it? 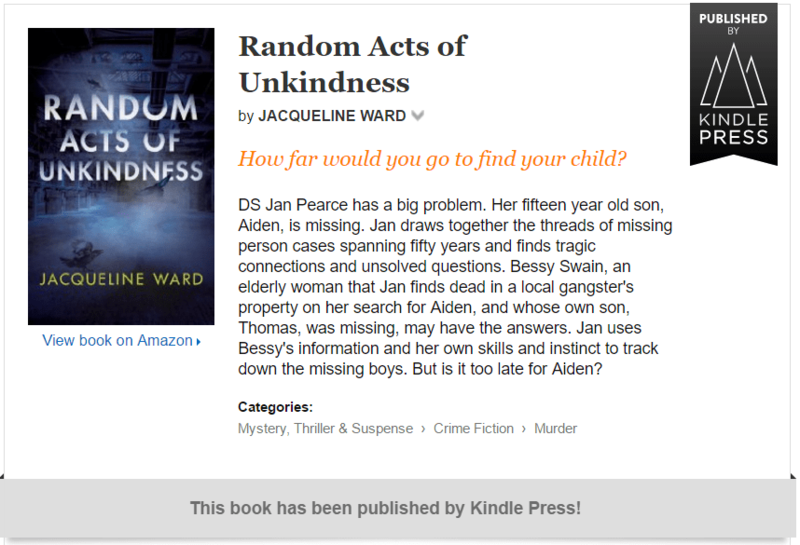 It’s one year ago today since my crime novel Random Acts of Unkindness was published by Kindle Press following a successful Kindle Scout Campaign. Was it worth it? The short answer is an emphatic ‘yes’! This article will look in more detail at just how Kindle Scout and Kindle Press helped my writing career. I have written about visibility in other articles, but this really is an advantage of both the Kindle Scout campaign and Kindle Press publication. The campaign is a win/win situation, with publication if you are selected and notification of self-publication to all those who supported you – often up to 3k nominators who want to read your book – if not. If you are published by Kindle Press you will receive Amazon Promotions. This is because Kindle Press, like traditional publishers, use Amazon to promote their authors work. There has been much discussion about this on internet forums but the bottom line is that Kindle Press use Amazon promotions. In my case, they also promoted via a UK Bookbub advertisement which took me in to UK top 50 Amazon Paid chart and top 100 in the US. Getting a platform is difficult. It’s a combination of sales, promotion, visibility and PR. My strategy was to build an author platform and then to try for an agent. I want to try everything – self-publishing, indie publishing and traditional publishing. I want the whole experience but I wasn’t going to get it without a platform. Kindle Press publication gave me that platform. In my letter to agents I was able to showcase my PR, visibility and thousands of unit sales in real time. The book I was submitting needed to be great, but in today’s publishing world even traditionally published authors need to show they can market themselves and their book. Kindle Scout and Kindle Press gave me the experience to do this. I got the agent and I got the deal. I’m not a ‘forum’ person. I like to stay focused on the task at hand and I’m not big on chit-chat. When I was selected for Kindle Press publication I was admitted to the Kindle Press Winners forum. I gave it a chance and I’m so glad I did – the group are the most focused, dedicated, kind, successful and sharing people I have ever met. There are participants from all over the world and in the space of a year I have learned about algorithms, paperback formatting, marketing, promotion and lot of other things. I have had short stories included in their anthologies and discovered wonderful writing from my Kindle Press co-authors. I learned how to market myself and my work. As most authors know, writing isn’t all about sales. It’s mainly about – well – writing! But unless you are happy for your writing to remain on a flashdrive in your desk drawer, you need the confidence to send it out and have other people read it. This is not easy. Combined with this is direction. What and who are you writing for? Will you only ever consider a traditional deal, or are you willing to self-publish? Everyone is different and, to make direction decision even more difficult, there is a certain amount of snobbery around the traditional/indie/self-published dynamic. Confidence leads to understanding and once you have an awareness of how and why the traditional/indie/self-publishing dynamic is constructed between writers (look out for a future blog post about this! ), it is easier to make your own choice based on your own confidence in the quality of your work. I decided on a three-step process for all my work. Put it out there and try to have it traditionally or independently published (which is where Kindle Scout came in) and if that door closes, open the next one and self publish. I now have the platform and marketing skills to make this work, so why not? I know the full range of publishing options and I’m not afraid to try them. This time last year I had one book published. 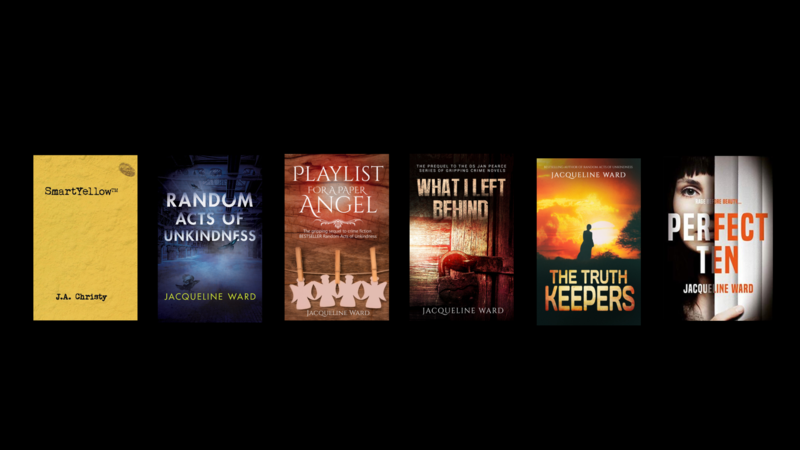 Tomorrow I will have five published works, in ebook and paperback, with a traditional two-book deal with Corvus Atlantic Books in the pipeline. It’s been quite a year, mostly spent with one eye on Amazon rankings. I’ve met brilliant people and read fabulous books and published my own offerings which people have bought and loved. That’s all I ever wanted but the Kindle Scout and Kindle Press experience brought so much more.